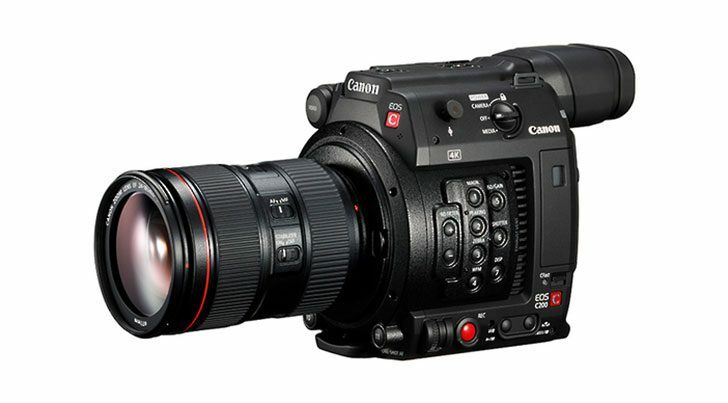 The new Canon Cinema EOS C200 offers exceptional creativity and flexibility, the new 4K compact digital cinema camera is perfect for a broad range of imaging professionals. Canon’s Super 35mm CMOS sensor along with newly developed Dual DIGIC DV6 image processors deliver Cinema RAW Light recording at 4K DCI 50P internally to a CFast 2.0 card. It can also deliver 4K UHD recording at 150Mbps, and 2K or Full HD at 35Mbps to SD cards in MP4 format. Supporting up to 15-stops of dynamic range in MP4 (Canon Log/log 3), the camera is perfect for capturing highlight and shadow detail. With Dual Pixel CMOS AF, superb tracking and smooth autofocus ideal for video capture is possible. Using the LM-V1 touch-panel LCD monitor, users can intuitively select the subject they wish to focus on with simple touch operation. The 8.85M sensor supports 4K recording up to 4096 x 2160 for high quality images. 2K/HD recording (Over Sampling HD Processing) that takes full advantage of data from the 4K sensor. Dual DIGIC DV 6 image processors are the core technology of this 3rd generation CINEMA EOS SYSTEM that offers wide-ranging expressive capabilities and stress-free operation in an compact body. New Cinema RAW Light format retains a high degree of post production freedom when colour grading similar to Cinema RAW while achieving between a one-third to one-fifth file size. Support for UHD (3840 x 2160) 60P/50P makes long recording time possible on versatile SD cards while maintaining high image quality. The C200 supports high-speed recording with a maximum 120fps in Full HD without cropping, realising even greater emotion in visual expression. Combine Dual Pixel CMOS AF with the LCD Monitor LM-V1, with touch panel support, focusing becomes even more intuitive, with the capability to choose the subject for focusing with a touch.